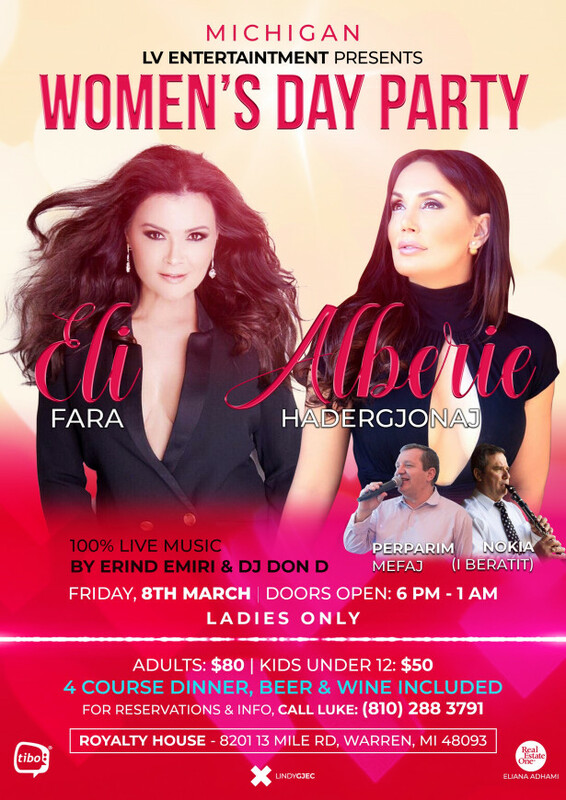 To all the Albanian ladies out there, come out and celebrate women’s day on March 8th at the Royalty House. Ticket includes a four course dinner plus unlimited beer and wine. Doors open at 6pm. Tickets must be prepaid! No tickets at the door.